My first memories of fishing are with my grandfather. After years of fishing only now and then, 10 years ago I started fly-fishing and with every year I get more addicted to it. Since 5 years I also tie my own flies. 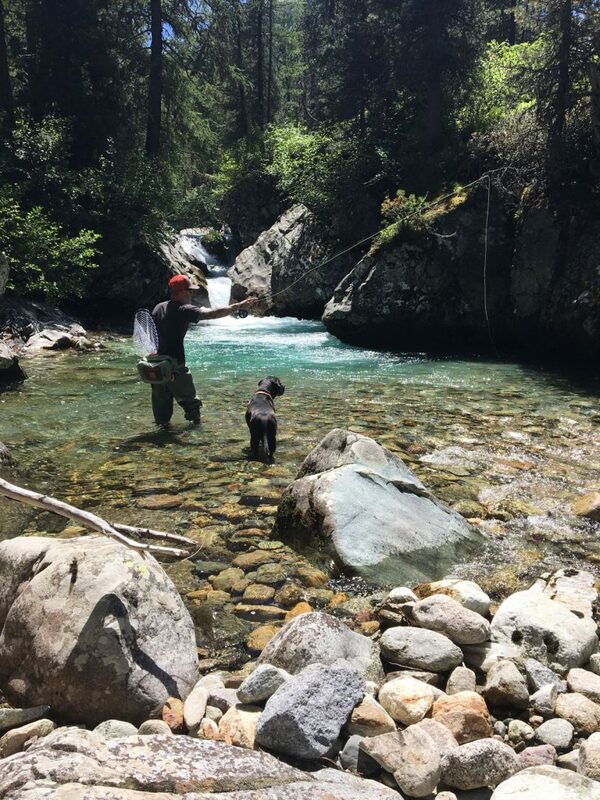 I live in the Swiss mountains in the Kanton Graubünden where I mostly fish small and medium high alpine rivers and lakes, which I really love. Fish of our area are not this big but the pattern of the Brown trouts is marvelous. It is possible to catch Namaycush and Graylings at some places too. I am really happy when the fishing season starts and I always try to make the best out of it. My preferred time on the water is in early Spring. I fished places from Germany, Austria, different places in Switzerland, and Slovenia, which is one of my favourite rivers of all time with beautiful marble trouts. It is difficult to make a bucket list, because every area has its´ own magic. On top of the list is definitely Iceland, Russia and Patagonia. What you like most about Thomas and Thomas rods? Which rods do you fish? I fish a contact 3 weight 10`8 rod, which I really like because of the flexibility of the tip, which allows you to feel everything what is going on under the surface and it is a very precise casting without a lot of effort. I always use the fly that fish like the most, but a few basics like an Adams, a Caddies with a brown and olive pheasant tail should always be in my Tacky box.